So how do you persuade language pupils to learn vocabulary at the end of a long and busy term? Chocolate, of course!! Ms Hornung set her Ks3 French classes a challenge over the final weekend of the term. Could anyone score 1,000 points on Duolingo, a free online language learning app? From Thursday evening to Tuesday at 4pm pupils were spotted furiously tapping through lessons to earn points. Each completed lesson is worth 10 points so it was staggering to find that one pupil had racked up 1,000 points by Saturday morning. By the time the competition ended there was a furious competition going on within year 9 between Hyunbee and Arthur who both scored over 1,000 points, but the runaway winner with 2,200 points was Lex in Year 7 who was clearly focused on getting all the chocolate! 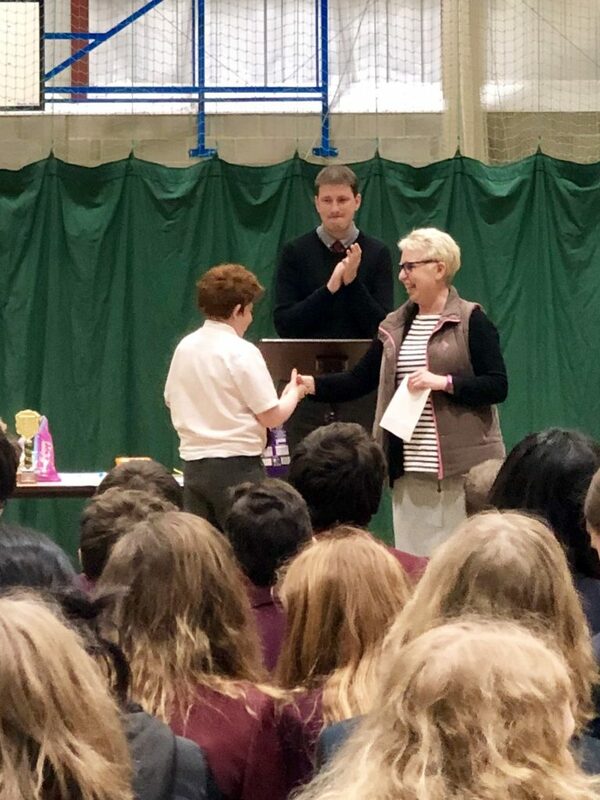 All the year group winners were rewarded with Easter eggs in Final Assembly. 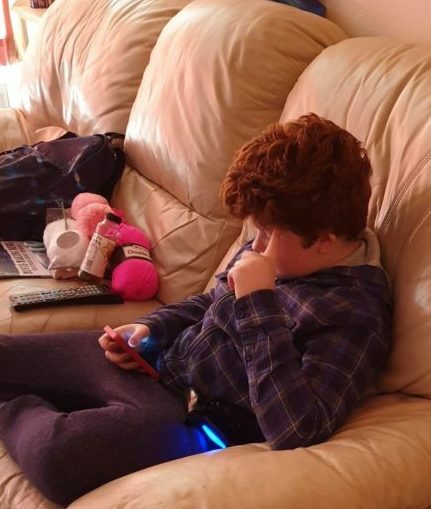 Lex’s dad sent this pic of him at the weekend when he refused to move as he was trying so hard to win!